Topic: Pakistani knives sold as USA-made customs? Re: Pakistani knives sold as USA-made customs? Im a big fan of the Yojimbo/Ronin family. Id like a fixed compact carbon steel blade in the style. Thanks SpyderScout! Have you noticed any type of edge damage from cutting hard materials like wood? No damage, as far as I can tell but I havent cut much wood with it. Mostly line, cord, rope etc, food prep etc. Yes, buying a tumbler is the way ahead. If something messes up SWMBOs appliances, youll be sleeping on the couch! I like a satin finish on a knife and clip as well. The video is by 'bluntcut.' Using him as a reference is neither there nor there in regards to Spyderco knives. I suspect, you dont know about him. Topic: Obsessed with titanium (a little) - what else can I get? Re: Obsessed with titanium (a little) - what else can I get? I'm looking for portable stuff by the way. No dust collecting sculptures or so... Useful things made out of this fantastic material called titanium. In that case; Heavy Cover canteen. I can heartedly recommend. How big would a 25 pacer be? 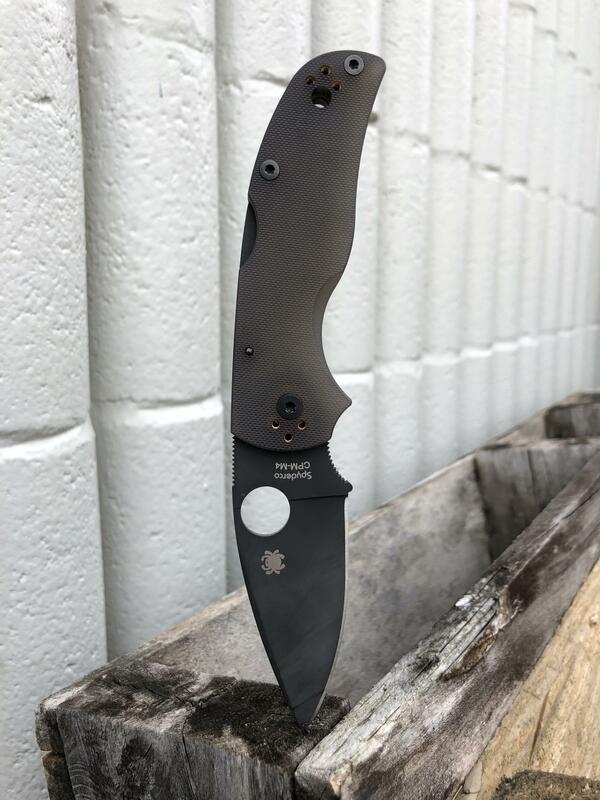 Topic: Spyderco Pacific Salt: Underappreciated but not by me. Re: Spyderco Pacific Salt: Underappreciated but not by me. People have been raving about these knives for years. Thanks again sharp guy! Did my first two dye jobs last night. Used frost gray Rit dye more. 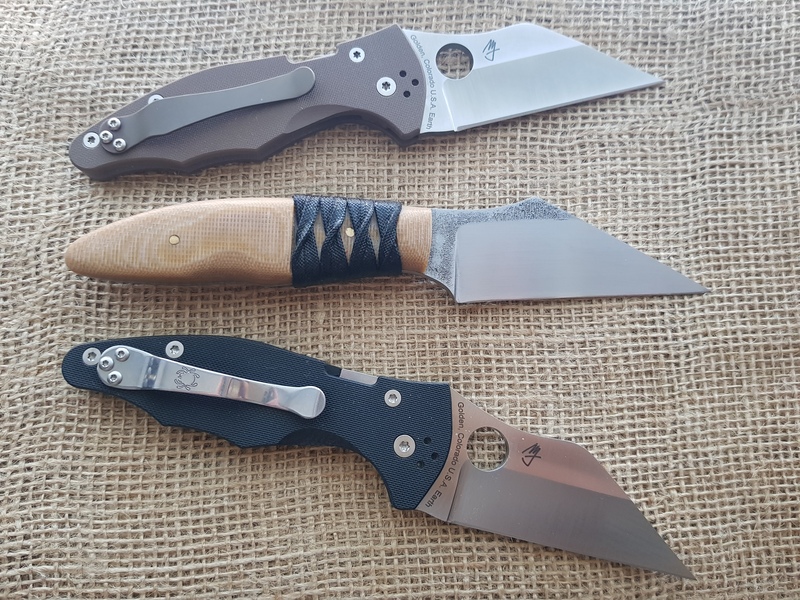 I dont like the jade handles but after seeing this might even buy a jade handled knife, if its in a steel I really want. Then Id just dye the scales. Id be up for a smaller Hundred Pacer. I have it on good scientific authority*, that the smaller ones are more poionous ergo it should be the 50 Pacer. Ive got several custom ordered (curved) leather belts. Also made several leather belts myself. Never wear any of them any more and havent for years. Best belt I ever wore (and still wear) is the 5.11 TDU belt. Can be had in single or double layer and several colors.